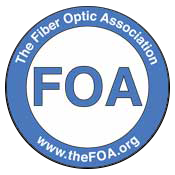 Posted April 19, 2017 by Connected Fiber & filed under Fiber Optic News. Verizon’s aging network infrastructure is finally catching up to it, and now the Telecom giant is investing more than $1 billion a year in an effort to stay ahead of the curve. This week, Verizon announced that it will sign a 3-year deal with the New York-based scientific manufacturing company Corning. 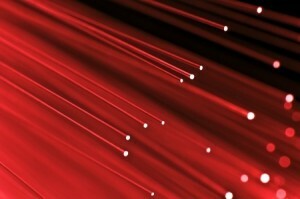 Under the terms of the contract, Corning will provide Verizon with up to 12.4 million miles of optical fiber every year until 2020, and Verizon will commit to purchasing at least $1.05 billion in fiber optic equipment each year. According to Verizon’s announcement, the company is “reinventing” its network architecture to establish a “next-generation fiber platform” for its users. In particular, this new network architecture is designed to bring high-speed broadband to more homes and businesses, improve Verizon’s 4G LTE coverage and facilitate the deployment of 5G coverage in the future. Verizon is optimistic that its new partnership with Corning will allow it to achieve all of these goals. “Securing the required volume of optical fiber and hardware solutions with Corning will ensure we meet our planned rollout schedules,” said Verizon’s Chief Supply Chain Officer Viju Menon in a statement. The first phase of Verizon’s new fiber optic deployment started last year in Boston, when the company announced its One Fiber program. One Fiber has been described as a “nontraditional Fios build” which will take an estimated six years and $300 million to deploy throughout the city. With Verizon making big improvements to its network infrastructure, you can bet that other telecom providers won’t be far behind in their own efforts to expand coverage and speed 5G deployment. By 2020, America’s fiber optic infrastructure could be far more modern and robust than it is today.